If you have poor credit you are in a tough situation financially no matter where you live, even if you live in the UK. Creditors do not like to lend out money to people with a poor credit history, would you like to risk your job lending out thousands of dollars to people who have proven to be irresponsible financially in the past? While global economies are beginning to bounce back from financial crisis’s that hit 2-4 years ago, credit card companies are still hesitant to give out lines of credit to people with poor credit. Credit card APR rates for people with poor credit in the UK are going to be even worse than rates for American consumers. While average rates for people with poor credit in the US range between 16-25% rates for UK citizens can reach up to 40%! This means it is more important for UK citizens than anyone to not run high balances on their cards from month to month. 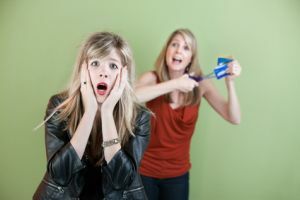 If you have poor credit you have likely gone through tough financial times, getting into credit card debt at interest rates 30% and higher is going to do nothing but hurt your situation. You can own a credit card and make purchases with it without having to pay hundreds or thousands of dollars in interest over time; you just have to be financially responsible and aware of your situation. 1. Capital One Classic: This is the most popular poor credit credit card for UK citizens. This card is geared towards people with sub-par credit and is great if you are looking to build your credit. The APR for this card is variable but can reach up to 34.9%! However there is no annual fee associated with this card which goes a long way towards easing the pain of having to pay an interest rate that can get to be so high. Your credit limit can reach 1200 £ which is nothing to complain about. There is little “special” about this card, but that is what you will have to deal with as someone with poor credit, once you build your credit up you will be surprised at all the added opportunities that will come your way financially. 2. Barclays Initial: This is another great UK credit card geared towards people with fair to poor credit. The APR on this card is variable and can reach as high as 29.9% so you definitely do not want to carry high balances on this card from month to month, interest will eat you alive. This is a great card if you are looking to build your credit. If you use this card responsibly you will not pay much in interest and you will see your credit rating soar, if you use this card irresponsibly you can expect to pay a ton of money in interest and your credit rating will move in the wrong direction. Your credit limit, should you land this card, would be a very impressive 2,000 £. 3. Capital One Progress: This is a UK credit card designed for people with “fair credit”. If your credit is terrible you may not be able to land this card, but everyone with a respectable credit history should be able to obtain this card. The APR for this card can reach as high as 29.9%, which is astronomical, however the APR is variable and can be lowered to a much more respectable 17.9%. You can have a credit limit of up to 1200 £, which is very reasonable. This is a very good credit card if you can get it!